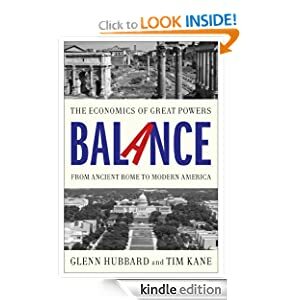 ← What Exactly is a ‘BALANCED” Approach? I thought I might take a moment to describe the writing process. If this is interesting, please let us know in the comments and I will write more like this in the future. Glenn and I wrapped up the first draft of the manuscript and turned it into our editor at Simon and Schuster a few weeks ago. We had already gotten some feedback on the first three chapters from him, and our first order of business was to redraft the introduction. The original had been more of a pitch summary than an intro, so this was useful. After completing the 12 chapters, the redrafted intro was much more informed. Feels great. We compiled a single WORD document, cleaned up some charts, and sent it in. This isn’t exactly a new process for me or Glenn, though he has many more books under his belt. Nonetheless, BALANCE is in many ways the most ambitious book we’ve ever attempted. It’s a 2000+ year economic history, after all, so hard to top that ambition-wise. Each chapter tries to say something really original, from measuring power in a new way to recommending political reforms in the U.S. to gentle advice for Japan and others following its development model. Also, working with a big league publisher like Simon and Schuster is a huge honor, so we are hopeful that the text measures up to their faith in us. There’s a strange lull after finishing a manuscript. For the moment, the work is done, though the second draft might be even more challenging. If we’re asked to expand or cut, that’s tough. Cutting a manuscript, when done well, means leaving whole limbs of the body on the operating room floor, which is hard to do after taking such care in crafting those limbs in the first place. The whole writing process itself seems like a blur. We were falling behind our self-imposed schedule in July, and hit a bit of panic in August. But all of the springtime investment in research paid off as we assembled the case study chapters (imperial Span, Ming China, etc.). It seems hard to believe that when we penned the agreement in early 2012. That, for me at least, was a heady experience. The only thing I can compare getting a major book deal inked is raising a venture capital round for a startup company. On the day of the deal, it feels like you just scored one of life’s touchdowns, but a week later you realize that you were merely issued a professional uniform and fresh cleats. Even after the project is complete (software master disk or book manuscript), it’s not a touchdown yet. Not. Yet. Hopefully the reception of the book will be positive (in the right places). We’re both frustrated with the way policy gets made in Washington and the messy 2-party duopoly that has a choke hold on American politics. Maybe the economists in China or Italy are frustrated with their politics as well. But if the book does its job, it will offend those who need offended and encourage those who need encouraged. For now, I’m going to enjoy sleeping in for one more weekend, maybe two, until we see the 300+ pages of red-penned editorial guidance …. In the wide open frontier that is publishing today, insights of how publishing works and what authors go through is helpful to those of us who are really, really small players and want to learn more. I enjoy the part about offending the people who need to be offended. Glad you’re willing to take risks! First — Congratulations. Looking forward to downloading the Kindle version. Second – I am curious about how you handle peer review. I am currently reading Wapshott’s book on Hayek vs Keynes and find it interesting to note when they did and did not exchange drafts prior to publication. Who would you identify as likely to be your harshist critics? Have you exchanged drafts with them? Thank you for your post. I am really interested in your book and looking forward to having a copy of your book. Philip Hoffman et al are doing a work about “Global Fiscal States” (National Science Foundation Grant) which, I think, may be interesting for you, too.